Just because we “know” something does not mean we understand. What’s more, thinking we know something usually disconnects our sense of inquisitiveness and attention. It’s easy to file it away in the know-it-all, “already have this handled” corner of the mind. We stop paying attention and go blind to new or contradictory information. It is easy to relax and imagine it’s possible to go safely onto autopilot. It’s not hard to be seduced by “facts,” and it’s more comfortable to rest in “knowing” than to engage the process of understanding the complexity, the causes, conditions and phenomena that lie under the surface. Information is not a completely baked cake; it’s more like a recipe. In essence it is data points, pieces of the puzzle, something that might mean something. If information were really useful, then we’d all be thin, rich and happy. Plenty of information is out there on how to achieve these goals — but again, information is not knowledge. Knowledge comes from the embodied and felt sense of living through an experience and seeing what that experience has to say to you. It’s a distillation of feelings, thoughts and observations percolated through daily life and ripened through iteration over time. Knowledge comes as much from finding out what does not work as what does. And it helps if we don’t get too attached to our opinions about what constitutes success or failure. Defining our experiences as “good” or “bad” leaves out the possibility of harvesting the deeper wisdom that lives beyond our simple grasping at what we’re attracted to and avoiding what we dislike. For information to make a difference, it has to be able to wake us out of the sleepwalk of our comfortably sensible lives. Also, information is not to be confused with action. Plenty of us have all the information we need about how food effects diabetes, yet the daily menu does not change. It’s clear that sugar is a surefire way to ruin your metabolism, yet cookies are equated with love. Smoking is a guaranteed way to cause a variety of illnesses, but “knowing” that rarely brings about a change of behavior. It’s easy to think that because we have a bit of information that our lives will be changed. That is a terrible delusion. Information changes nothing. Only action does that. And action is uncomfortable, full of uncertainty, challenge, failure and frustration. Action requires that we craft new neuronal connections in the brain, that we choose again and again to get off the superhighway of habit and ride the lesser-traveled roads that force us to slow down and pay more attention. We run into resistance not because we are weak willed or flawed, but because we are in the process of carving out more possibility by getting off the beaten path of comfortable habit. So why bother? 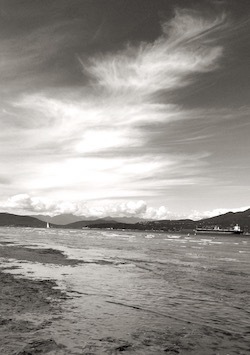 Why live with discomfort and uncertainty? Why hold with a lighter hand what we “know?” Because any meaningful change is usually as disruptive as it is helpful. Constant ruminative thought is often at the root of a variety of issues from anxiety and depression, to issues with anger, body image, and the limits we place on ourselves. Our physiology is not disconnected from our emotional lives or endocrinological systems, and so our states of mind are reflected in our bodies. Lots of people think they can’t meditate because their mind will not settle down and be quiet. But meditation is not about having a quiet mind. Meditation is about quietly being with your mind. It’s about seeing how your thoughts and emotions are entangled together and generate reactivity. And how to find some spaciousness in all that so you can have your emotions and reactions without being driven by them. Also in this episode we explore some common misconceptions about mediation and provide some resources for getting started with a meditative practice. Chinese characters — especially the traditional characters used in Taiwan, Hong Kong and most overseas Chinese communities — can give some deep understanding into a particular word once you know how to unpack them. As you probably already know, Chinese is not made up of an “alphabet” like English. It’s a pictorial language that marries sound with image. We are used to recognizing strings of letters that translate into meaning, but with Chinese it is a matter of learning a visual vocabulary. 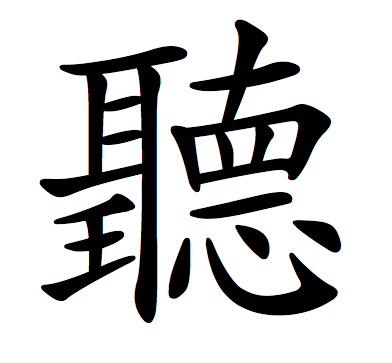 For example, whenever you see 水 (shui) as part of a character, you’ll know that you are dealing with some aspect of reality that has to do with water or fluids. This character is unlike the simplified version of 听ting used in Mainland China, which basically is a mouth speaking into an ear. The traditional character actually tell us how to listen. Beautiful, isn’t it? To really listen, you need more than your ears. You also need your eyes and your heart. It’s true, isn’t it? Listening is more, much more, than just hearing. If you look at the science about what is happening on earth and aren't pessimistic, you don't understand data. But if you meet the people who are working to restore this earth and the lives of the poor, and you aren't optimistic, you haven't got a pulse. The moment when the lies about how meditation was going to somehow jujitsu the ongoing dialogue in my head into something tame and patient, came at the Upaya Zen Center after a 5 day silent retreat. I was talking with a fellow who’d been at this meditation game for more than a decade. I asked what he’d gotten out of it. The reply, “I’ve gone from having a two second fuse to a five second fuse.” My expectations and decoupage of beliefs that I’d had about meditation hit the brakes and skidded off the road of my pat expectations. I’d been laboring under the delusion that a regular meditator wouldn’t get angry. Or, depressed, or anxious, or have bouts of insomnia or at times think about doubling down on lottery tickets in hopes of manifesting enough cash to buy their way to contentment. All of which, upon reflection, is ridiculous. Meditation doesn’t take you away from who you are, it clears the mirror of the mind so you can actually see and feel it more clearly and with less distortion. What’s so great about meditation? It helps you see more clearly what you rather not see at all. How’s that for a selling proposition? 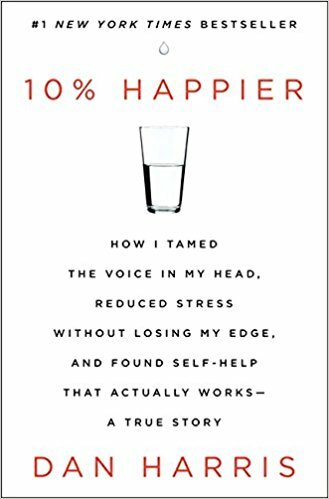 There are plenty of books out these days on mindfulness and they span the gamut from “meditating your way to prosperity” to “ good hard science reasons to meditate.” I want to introduce you to one that I’ve recently thoroughly enjoyed called “Ten Percent Happier” by Dan Harris. Dan is a hard-bitten, smart, skeptical, sarcastic East coast Jewish news reporter. Major TV news time type reporter, who meandered his way to meditation after having a serious panic attack meltdown in front of millions while reading the evening news. How’s that for a hook for a story? 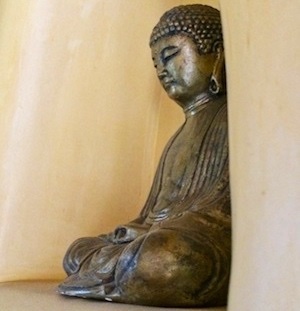 He didn’t immediately turn toward meditation, in fact he did everything he could to avoid it. Which makes the story even better. I particularly enjoyed this book because Dan is a “zero woo-woo” kind of guy. And love his skepticism, willingness to ask tough questions, and transparency about being wrong, very wrong about many things in life. Somehow he finds a middle ground between the “Trust the Universe” and “Trust Science” schools of thought when it comes to meditation. It’s a hilarious read that has some good “how to’s” if you read between the lines. I especially appreciated his inquiry into “But stress and discontentment is the fuel I use to make myself better and it motivates me to do a good job. If I find peace and contentment, won’t I lose my edge (and by extension, my job)?” It’s a good question isn’t it? His transparency with his internal process is refreshing, and the glimpse he gives about how meditation can help us move from reactivity to response is humorous, human and grounded in grit. Ten Percent Happier is a worthwhile read. You can find it on the big river of books, give it a look. Better yet, get the audio book. It's read by the author himself (here's a taste) and he really brings the story alive. Word of caution, be careful about listening in the car. Fits of laughter could cause you to drive in an erratic fashion. You've been warned. If you already have concerns about how to navigate the upcoming season of family events, holiday sales and sweets galore, then now would be a good time to get a handle on your relationship with sugar. 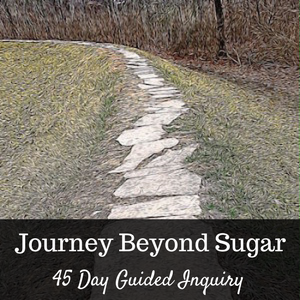 The Journey Beyond Sugar is not a boot camp or dietary lockdown that will force you off sugar. It’s more like a walk in the woods, a conversation with a friend, a long lazy fall afternoon of azure sky and falling leaves. It’s a surprisingly gentle process. Start your journey now and get ready to have a whole new perspective on the holidays! Readers of the newsletter can use the coupon code “sugarfree97” to take The Journey Beyond Sugar for the reduced rate of $97. It might feel like the flu or a slightly scratchy throat or the hint of a headache. Some people say their “allergies” are acting up. Others blame it on “a little cold bug.” It’s not the kind of illness that lays you out for days. It’s more like when you know you’re not quite well; that there is a light malaise that clouds your spirit and vitality. It doesn’t send you into a tailspin of sickness, and it’s easy to talk yourself into pushing through it. But you’d be better off surrendering to the slightly beyond-subtle demand to slow down and rest. Here’s why. Many of us experience “short illnesses” like this at the beginning of spring or fall. It’s not really an illness, but rather our bodies responding to the tidal shifts in season and sunlight. We think we are immune to the changes we are seeing in the leaves on the trees, the increase in the morning dew on the grass or the color of the sky at noon. Just as the sap in the trees begins to draw inward at this time and flowers go from blossom to seed, so too the fluids in our bodies begin to draw inward in preparation for the cold. 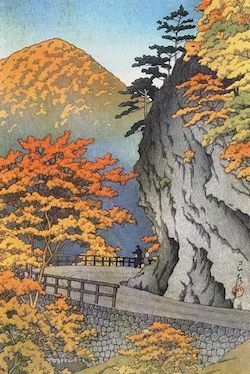 And as the essential yang qi world begins to sink back into the ground, so too our essential energy changes its trajectory from outward to inward. How do you know this is happening? You might notice it in how your feet hit the floor in the morning and you feel the cold. Or your hands might feel chilled, even if the outside temperature is warm. If you are prone to lung problems, those problems will show up again in this time of year. You might think you are “getting sick” but if you treat this as “a cold” with over-the- counter meds and such, you’ll miss the benefit of more robust health in the winter. First and foremost, rest. That may be the last thing most of us want to do, but this is really important. Allow your body to navigate the shift and build resilience through sleep. It’s just for a day or two. Secondly, you likely will find your appetite falls off. 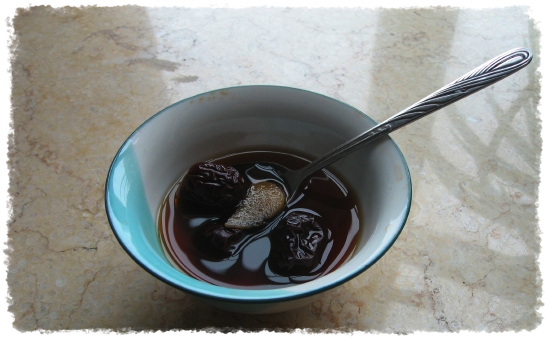 Go with that flow and if you can fast for a day or so, this helps to clear all kinds of cellular debris and metabolic waste products out of your system. Just be sure to keep up your fluid intake. And if you are feeling chilled, a nice homemade hot ginger tea is helpful. Just slice up some fresh ginger, bring to boil and simmer for 10 minutes. If you are feeling hot, then some warm lemon water is helpful. Avoid ice water, as this slows down the metabolic processes that are in the process of re-regulating. Finally, some acupuncture at the seasonal change can also help your body to shift to this new season of falling light and increasing cold.